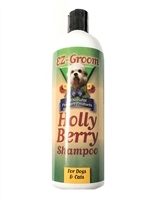 are good for pets who have allergies or sensitive skin. With sensitive-skinned dogs, it is sometimes as much what is NOT in the product as what is in it. Most hypo-allergenic shampoos contain natural ingredients and do not have fragrances or dyes to lessen potential irritation of a pet’s skin.